India’s well known brand “Mahindra” which operates the two wheeler business in the name of “Mahindra 2 Wheelers” has discontinued 3 models in its scooter portfolio and 1 model in its motorcycle portfolio. Discontinued models are Mahindra Flyte, Mahindra Duro DZ, Mahindra Kine and Mahindra Pantero. The above models have also been removed in their official website – which means Mahindra simply wants to move away from these bikes. Mahindra Kine is a 2-stroke automatic scooter, looks like it didn’t get much traction in the 2 wheeler market. The Pantero, which is a 4 stroke geared motorcycle also has failed to perform well in the neck-to-neck Indian two wheeler market. With this, Mahindra 2 Wheelers retains just 3 models in its portfolio: Mahindra Gusto, Mahindra Centuro and Mahindra Rodeo UZO. Rodeo UZO and Mahindra Gusto are automatic scooters which has seen some traction in Indian market due to bombardment of advertisements. When it comes to its competitors like Activa, Fascino or Jupiter, the scooters from Mahindra stands no where. 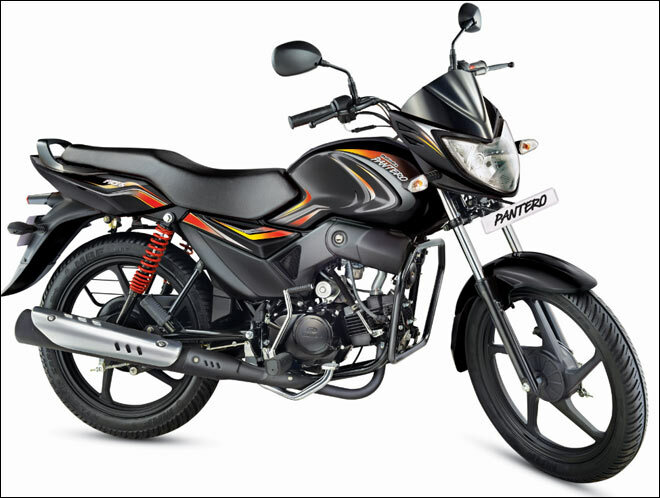 Centuro from Mahindra, the commuter segment bike is showing some hopes for Mahindra 2 Wheelers. The company is said to be working on its Mojo motorcycle that has been long due now.